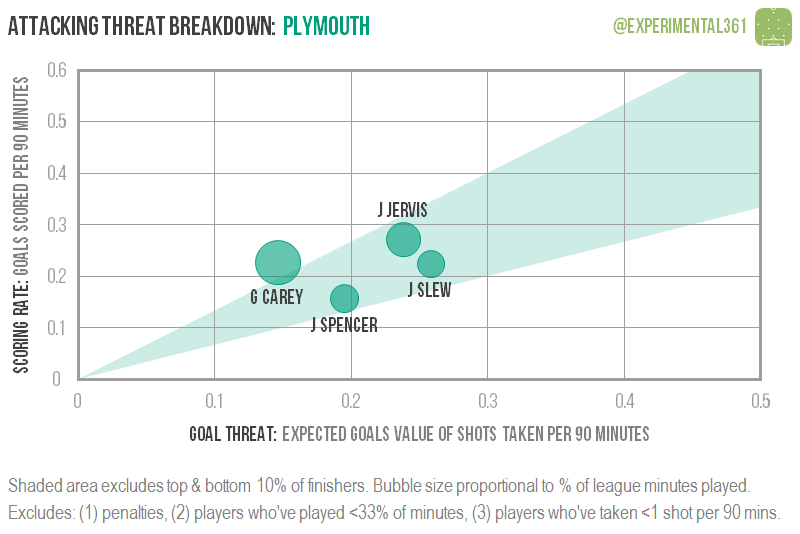 Taken an average of at least one shot per game. 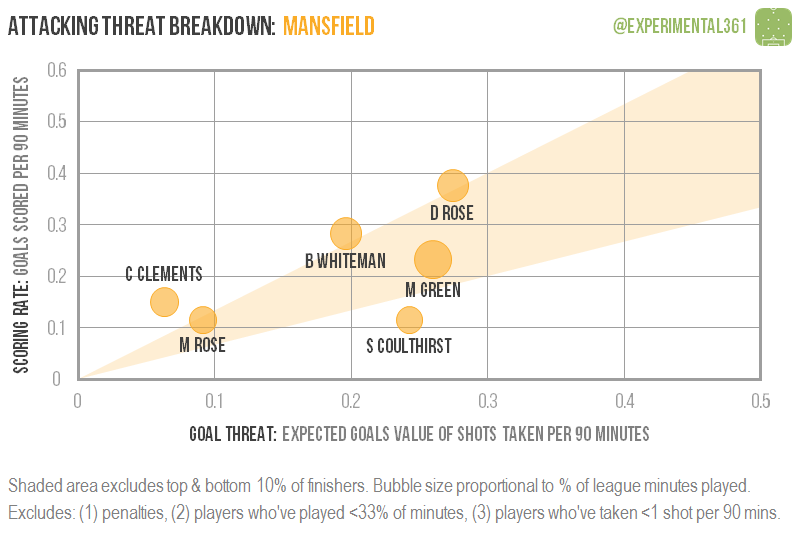 The size of each player’s bubble is proportional to the percentage of possible minutes that they’ve played. 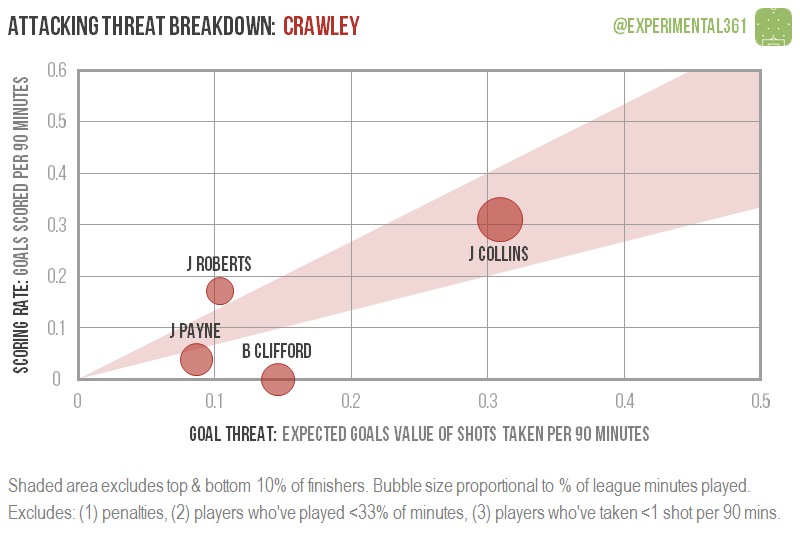 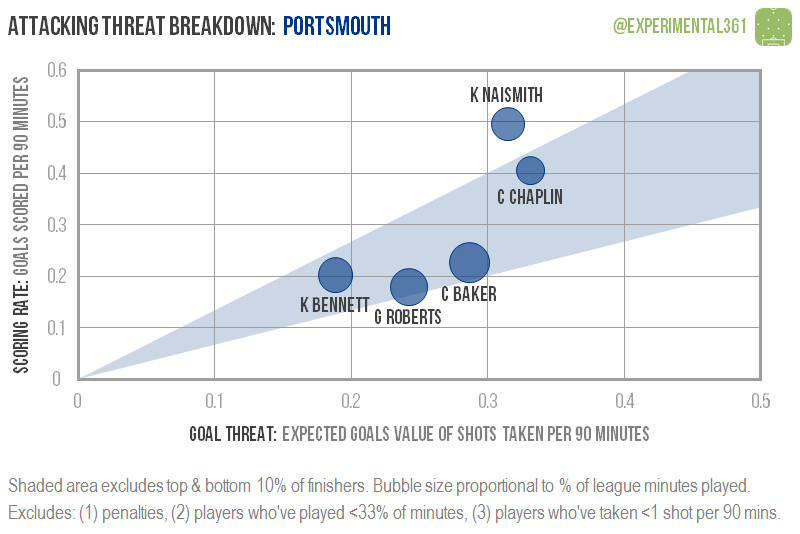 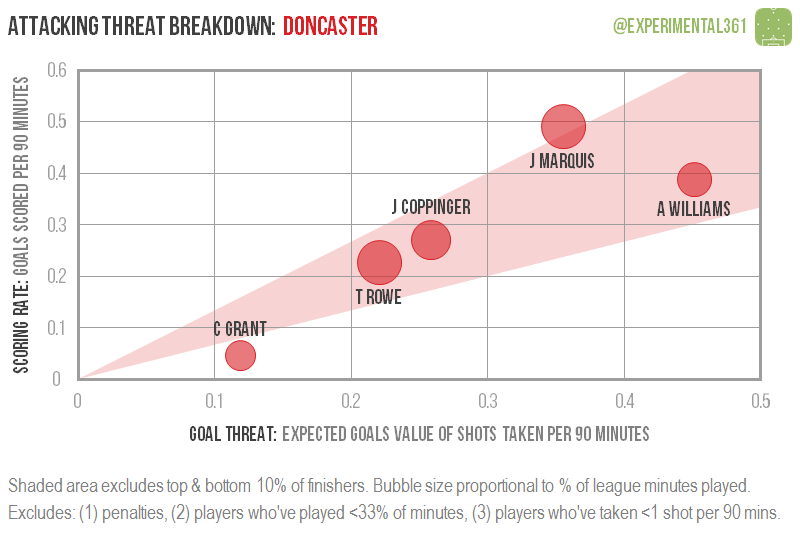 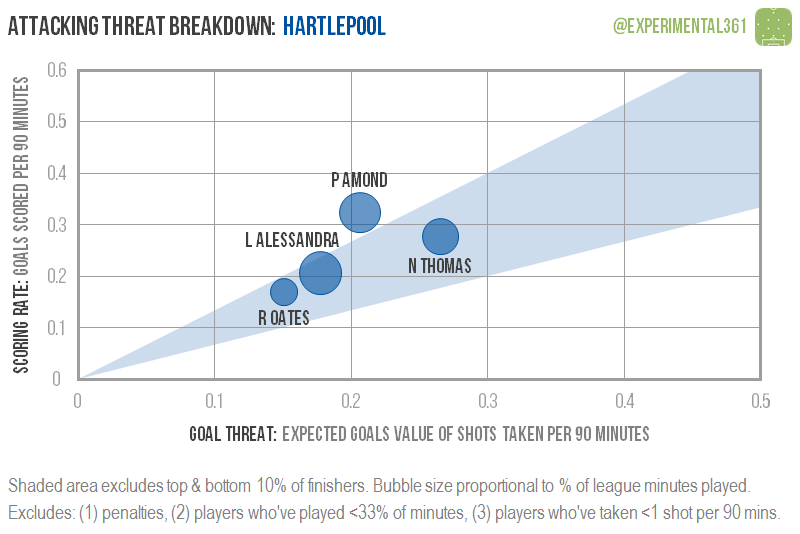 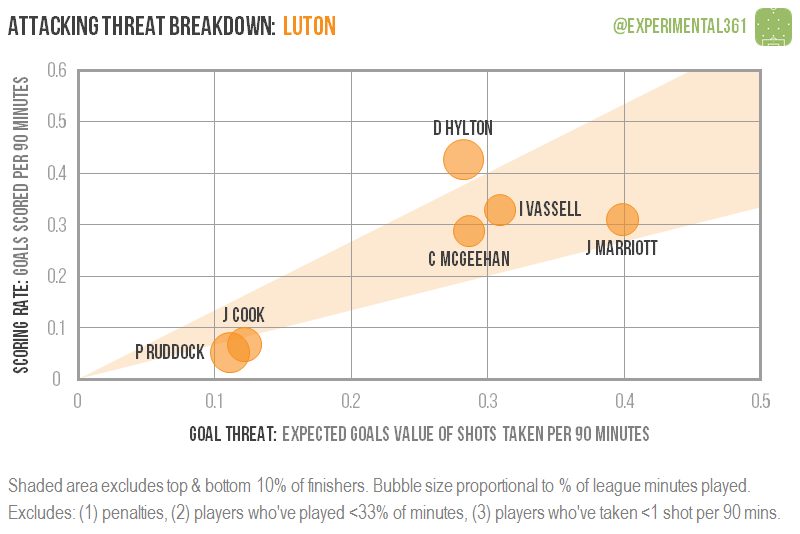 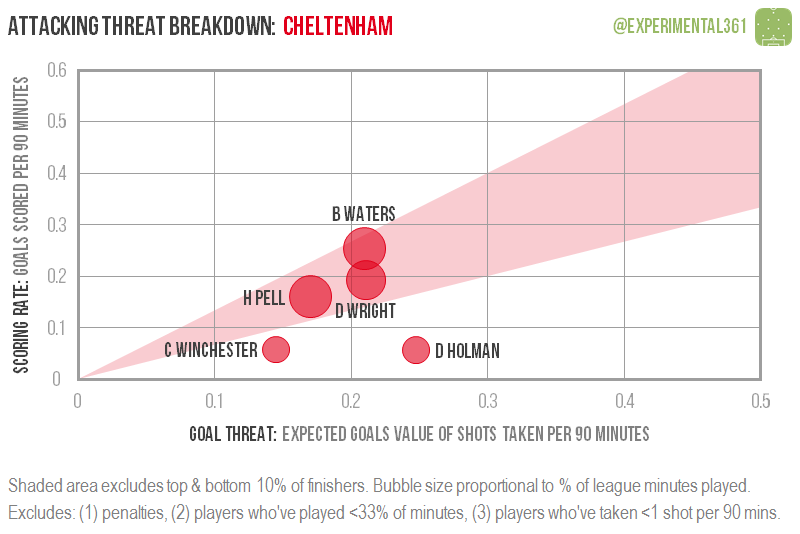 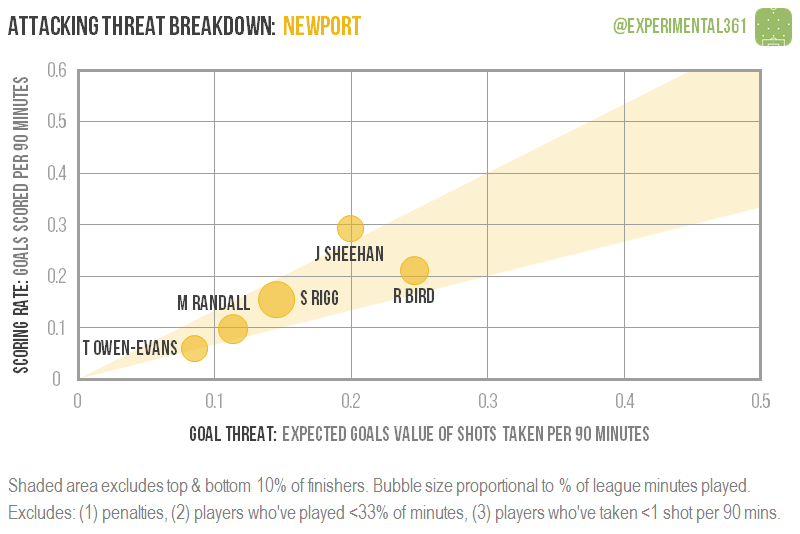 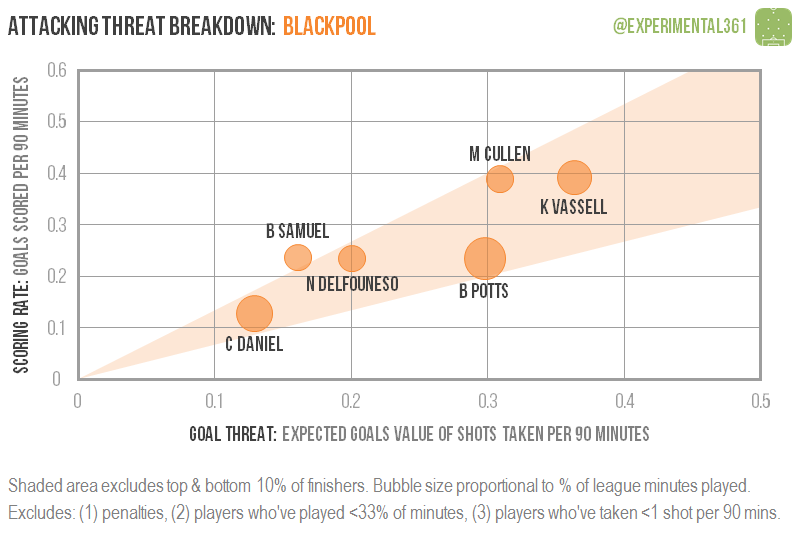 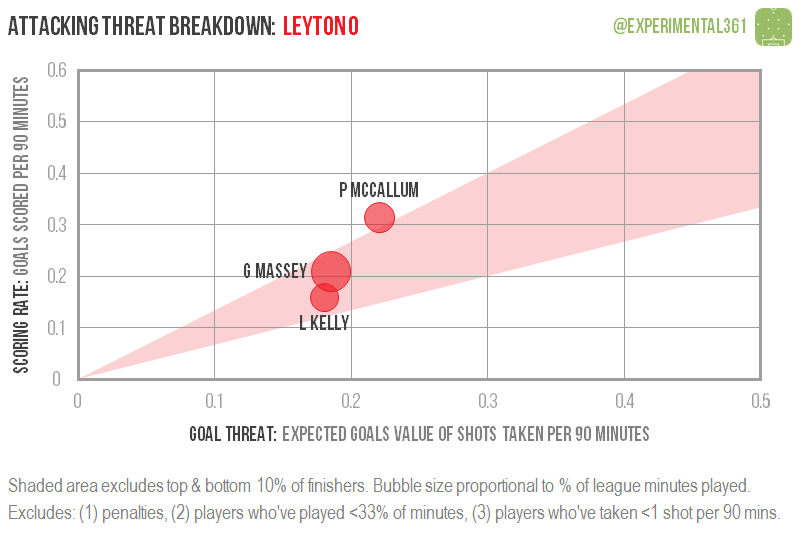 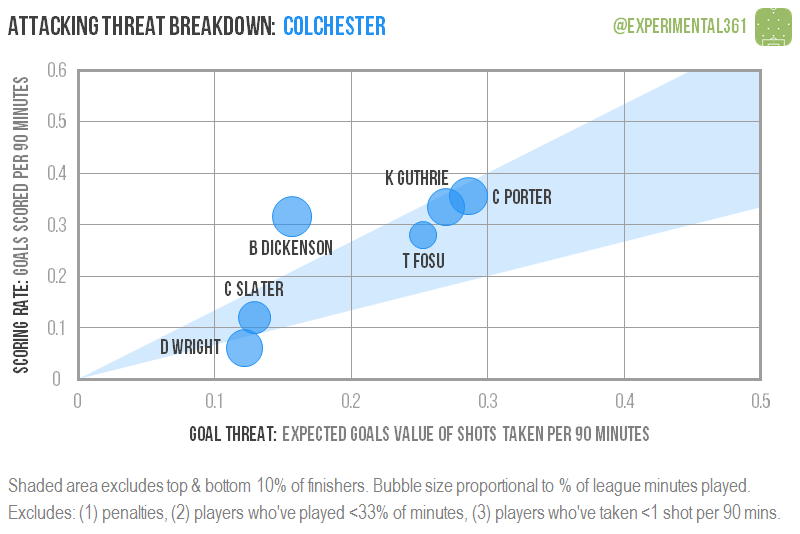 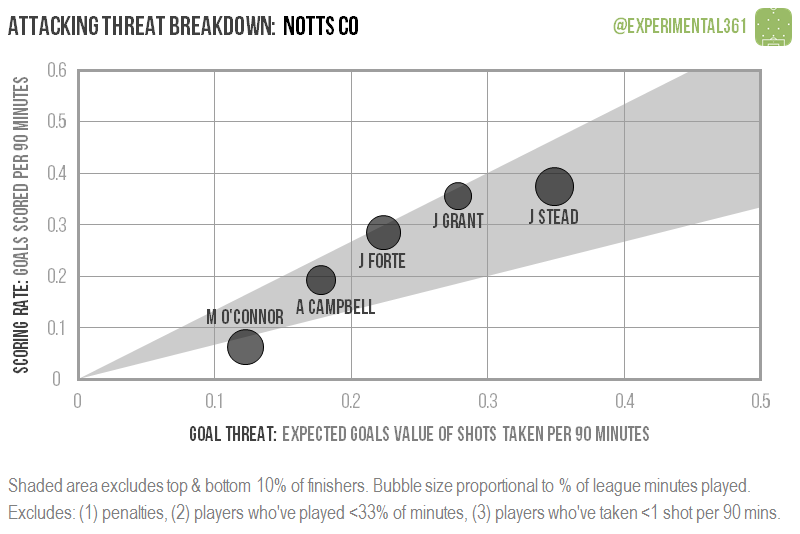 On the horizontal axis we have their goal threat, based on the “expected goals” value of shots taken per 90 minutes. 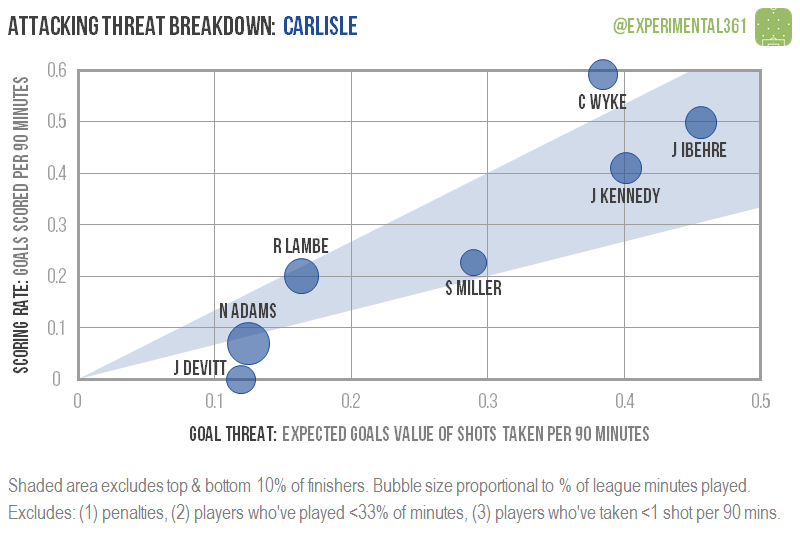 This is effectively a measure of the combined quality of their goalscoring chances. 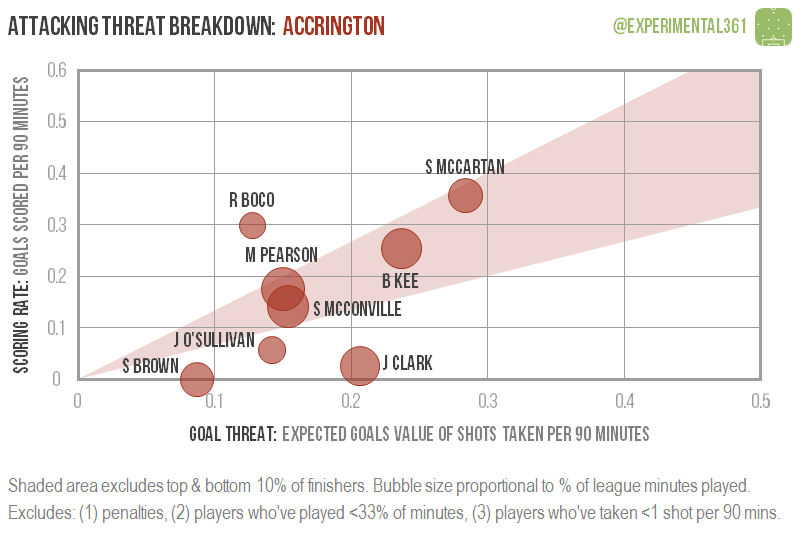 On the vertical axis we have their scoring rate, using a less abstract measure of actual number of goals scored per 90 minutes. 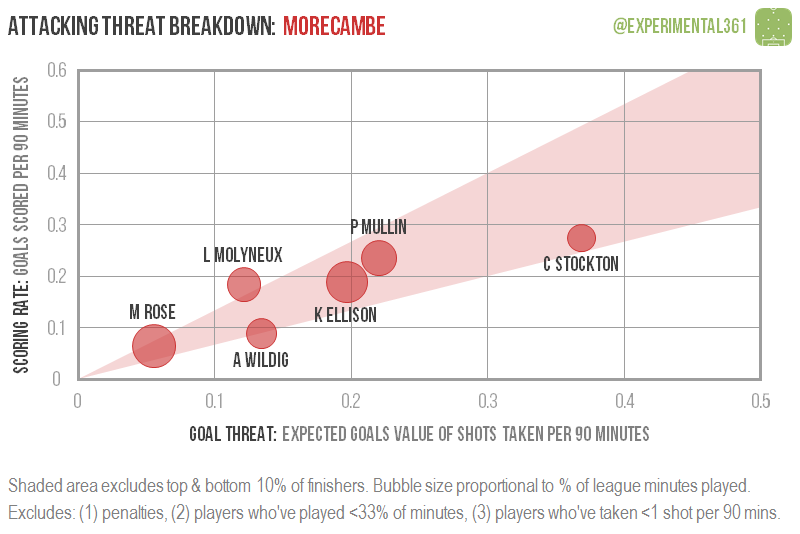 Both axes exclude penalties, as those can massively skew a player’s contribution away from the threat they pose from open play. 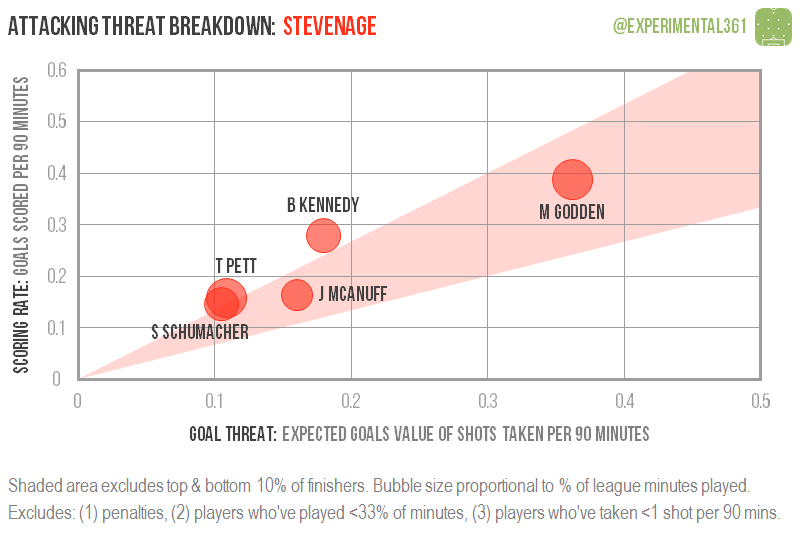 There’s a shaded “stripe” which indicates the long-term shot conversion rate of all finishers except the top and bottom 10%, so we can identify those whose performance may be unsustainable (i.e. 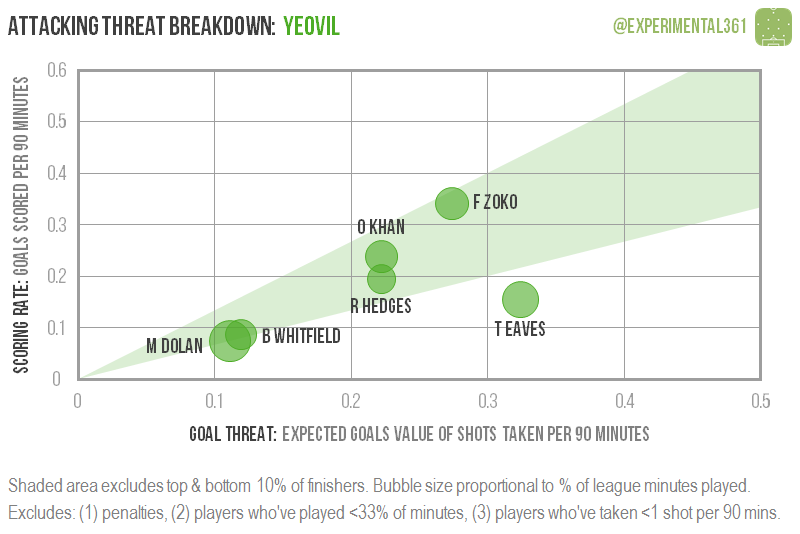 unlikely to be repeated next season). 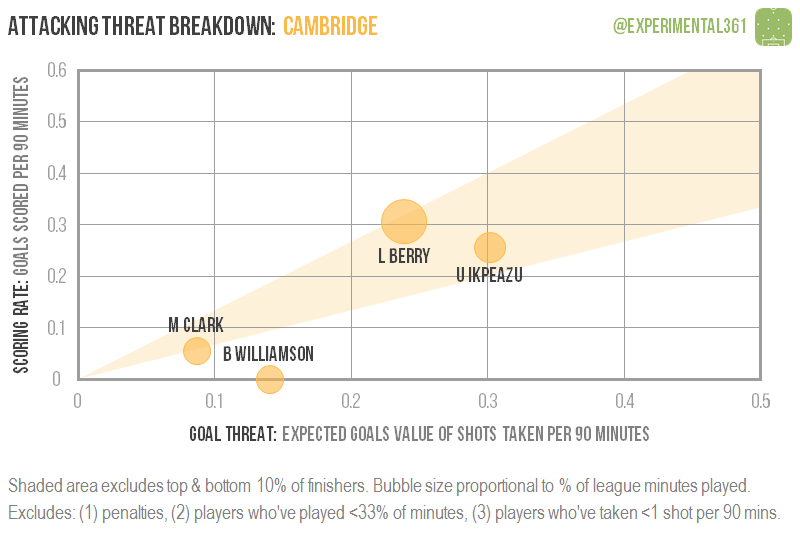 If a player is above the stripe, they’re converting chances at a rate consistent with someone in the top 10% of finishers, and likewise a player below the line is in the worst 10%. 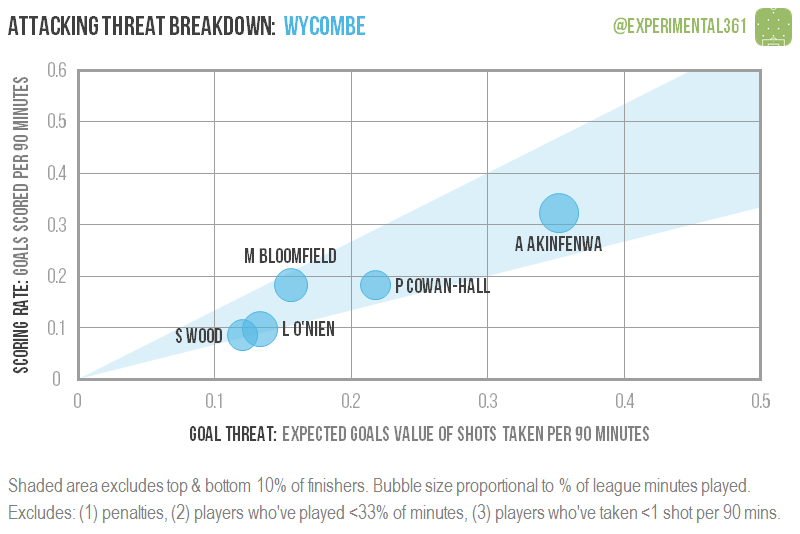 Based on what we know about the specific player, we can therefore take a view on whether we expect their scoring rate to continue. 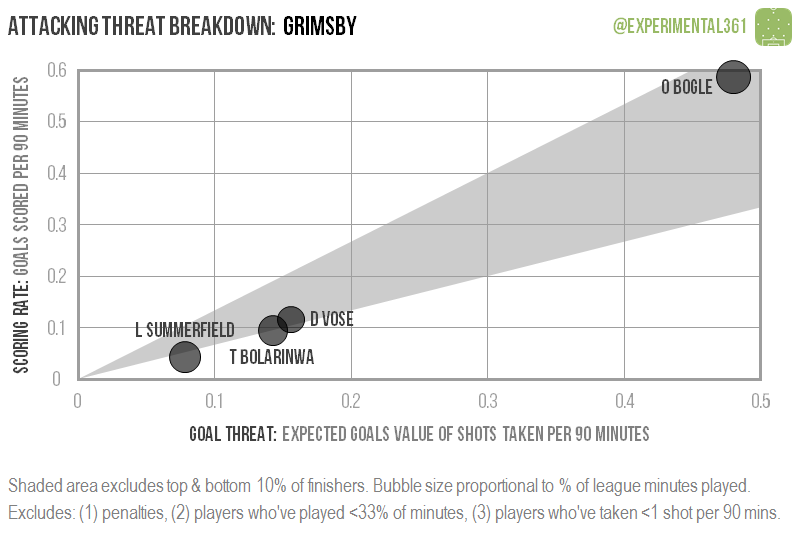 The man setting the standard is no longer in the division: Grimsby‘s Omar Bogle left in January and has proved a tough act to follow. 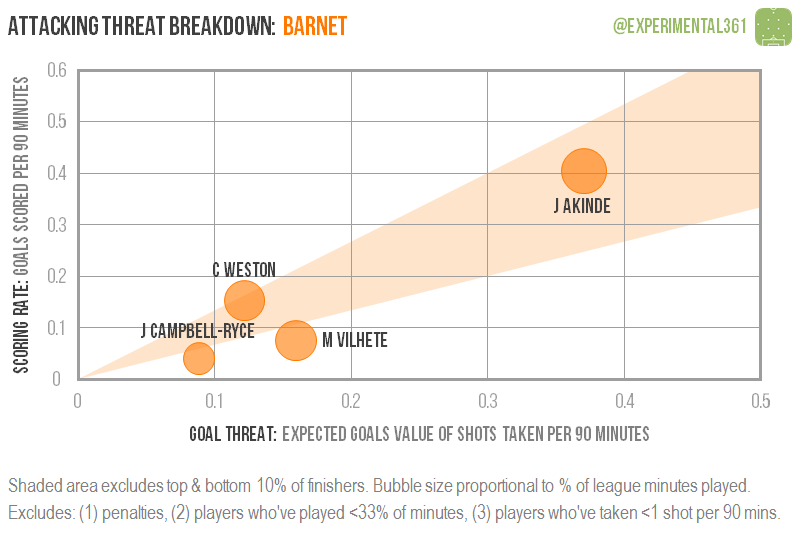 Barnet‘s John Akinde is the only player who has dominated his team’s output to anywhere near the same extent, ahead of Crawley‘s James Collins. 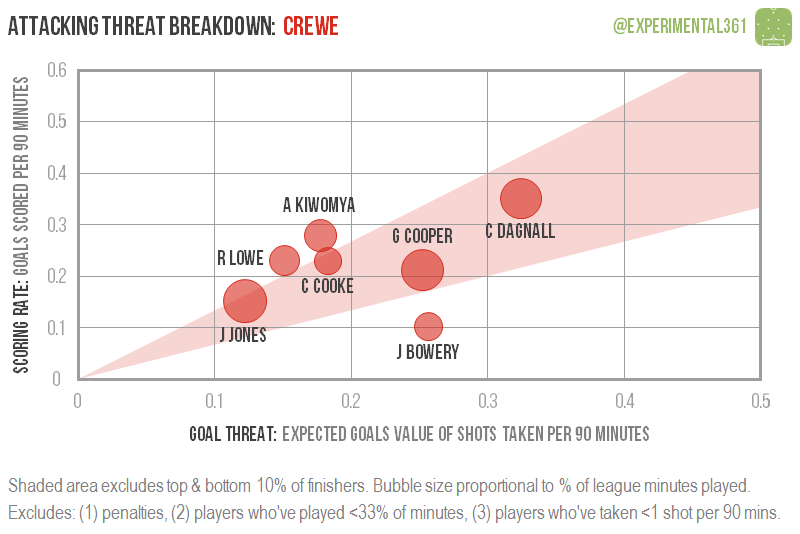 It looks like Yeovil‘s Tom Eaves, Cheltenham‘s Dan Holman, Crewe‘s Jordan Bowery, Stevenage‘s Matt Godden and Accrington‘s Jordan Clark were unlucky in front of goal and should have a better time next season. 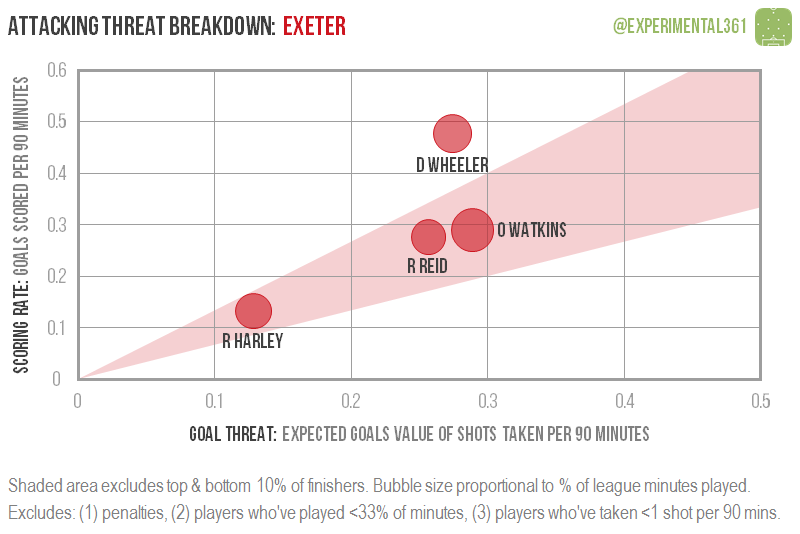 Players who may have overachieved – and therefore may score less frequently next season – include David Wheeler of Exeter, Luton‘s Danny Hylton and Portsmouth‘s Kai Naismith.